1000 Watts of punishing RMS Power! 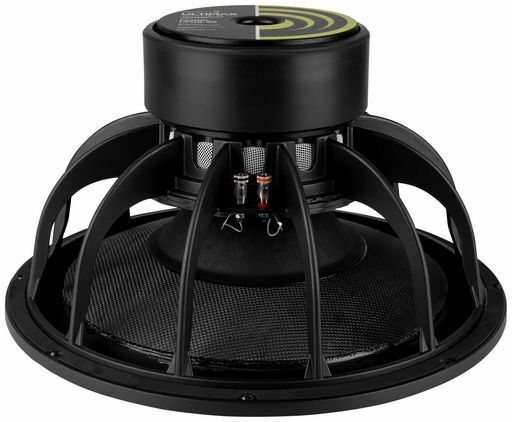 The Dayton Audio Ultimax DVC subwoofer provides over 2″ of peak-to-peak excursion, the Ultimax 18 sweeps over 6L of air with each stroke. 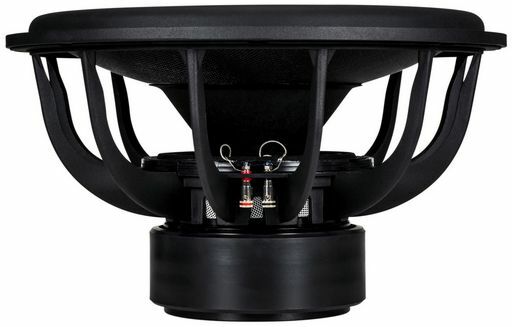 Designed to excel in either sealed or vented enclosures, it features an ultra-powerful triple stack of high-grade ferrite ceramic magnets for ultra-high force and exceptional control, plus dual aluminium shorting rings above and below the magnetic gap for minimized inductance, “faster”-sounding bass response, and perfect magnetic symmetry. 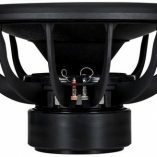 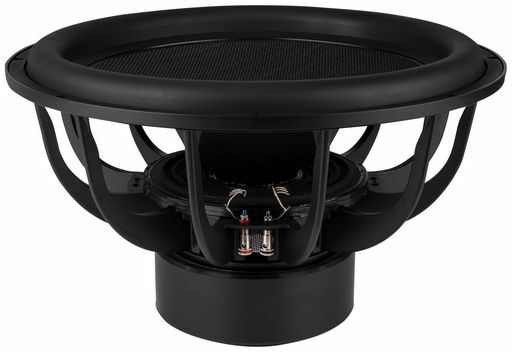 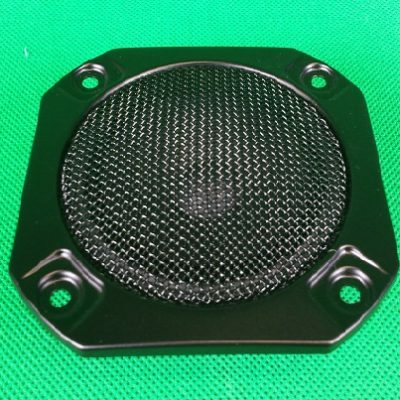 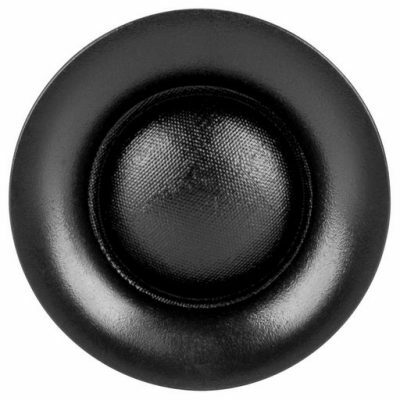 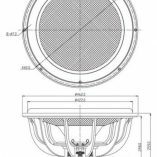 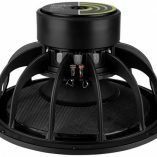 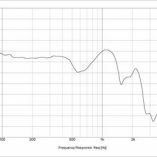 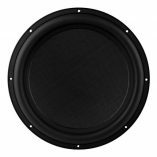 The voice coil diameter has been increased to 3 inches, for even more thermal dissipation area that allows the 18” model to withstand 1000 watts of punishing bass power continuously without thermal fatigue. 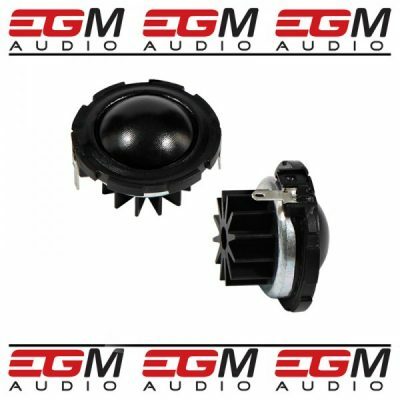 Dual 2-ohm voice coils allow for stereo 2 ohm operation, or mono operation in 1 ohm or 4 ohm configurations, for true design flexibility. Put your home’s construction to the test with the phenomenal bass output of this 18″ subwoofer. 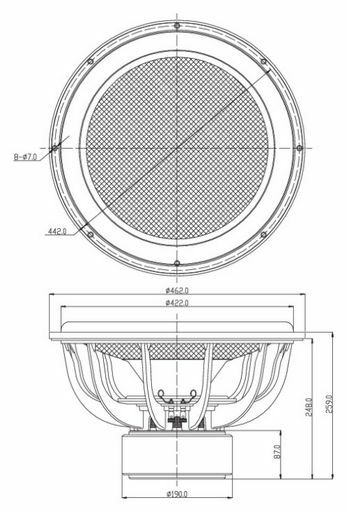 Over 2″ of total cone travel!